It is not difficult to get into a traffic accident in New York City. According to the NYPD, in one recent month alone – September 2018 – 18,986 traffic collisions were reported in New York City. When the police investigate a crash, what goes into their written accident report? If you file an insurance claim, or if you have to take legal action to recover damages from a negligent driver, how much weight does the police accident report carry? Can it help you or hurt you? 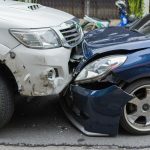 Can a Bronx car accident law firm help? WHEN ARE THE POLICE NEEDED AT A TRAFFIC ACCIDENT SCENE? Police officers in New York are usually dispatched to traffic accidents when fatalities or injuries are reported, traffic is blocked, or one or more parties involved in the collision are intoxicated, belligerent, or violent. When you’re involved in an accident, call 911 to summon medical assistance and the police. Be as precise and as detailed as possible when you speak to the 911 dispatcher. If there are any injuries or fatalities, the police will secure the accident scene and investigate what happened. They will take notes, ask questions, and gather evidence at the scene. Later, the officers will review that information and create an accident report. WHAT IS INCLUDED IN A WRITTEN POLICE ACCIDENT REPORT? Factors that potentially contributed to the accident, such as broken turn signals or wipers, may also be noted. Officers may also take photographs and interview witnesses. WHAT ELSE MAY HAPPEN AT AN ACCIDENT SCENE? Police officers may conduct field sobriety tests if they reasonably believe that one or more drivers in the accident were driving while under the influence of drugs or alcohol, and officers may make DUI arrests at accident scenes. If other traffic violations contributed to the accident, tickets may be issued. The police will see that a vehicle is towed if it can’t be driven or if the driver is too injured or intoxicated to drive safely. If a police officer gives you a card, that card may have a “service number” or accident number. Hold onto it. You may be asked for that number when you request a copy of the written accident report. In some cases, the police will need some additional answers before they can complete a report, so you may be visited again, even if you’re in the hospital. If you’re injured in an accident in or near New York City, as soon as you’ve been examined or treated, reach out at once to an experienced car accident attorney for legal advice and representation. Your case may never go to trial, but if you’ve been injured, it’s imperative to have a good personal injury lawyer handle your injury claim. If your health is on the line, or if you’ve sustained a catastrophic or disabling injury, you’ll need the maximum available compensation. Injury attorneys routinely handle these negotiations with insurance companies. A good injury lawyer knows what it takes to prevail on a client’s behalf. A written police report will typically describe the at-fault driver’s behavior leading to the accident. A diagram of how the accident happened is usually included. The report may also indicate the officer’s opinion regarding fault and liability. Accident reports are usually available after seven or ten days. Make certain that the police explain to you how to obtain a copy. WHAT ARE THE BENEFITS OF HAVING POLICE AT THE ACCIDENT SCENE? Whenever you are in an accident that involves one or more other vehicles, summon the police to the scene. Don’t allow the other driver to talk you out of it. The other driver or one of that driver’s passengers could later claim to be injured – and try to blame it on you. You should also call the police if you’re in an accident because you’ve hit some kind of object or obstruction on the roadway. If the object was in the road because of another party’s negligence, you might have a claim and qualify for compensation. If you are injured in a hit-and-run situation, call the police at once and try to write down everything that you can remember. Sometimes these drivers disappear, but they’re often apprehended – especially when their victims can get their license plate numbers. HOW DO YOU OBTAIN AN ACCIDENT REPORT IN THE BRONX? The paperwork that you need to make an insurance claim – or take legal action – is not comprehensive without the written accident report. Read it carefully to make sure that all of the details and facts are correct. 1. You can get reports of accidents that occurred in the last 30 days. 2. You may request a report in person or by mail. To make a request in person, go to the precinct where the accident occurred. 3. You should bring a valid form of picture identification, such as a driver’s license or passport. 4. New York State provides reports of accidents that happened more than 30 days ago. WHAT IS A CLAIMS ADJUSTER’S ROLE? If you submit a claim to the at-fault driver’s auto insurance company, a claims adjuster representing the company will begin investigating the accident separately from the police investigation, even if the police accident report clearly indicates which driver was at-fault. In some cases, a claims adjuster may discover something missed by the police, but that’s rare. Usually, an adjuster’s findings will confirm and line up with what the police found. Police accident reports are powerful evidence in personal injury cases. If you’ve been injured by a negligent driver, and the police agree that the driver was negligent, your claim can probably be settled quickly. WHAT IF THE POLICE ACCIDENT REPORT POINTS AT YOU? But what if the police find that the at-fault driver was you? Mistakes in an accident report can be corrected, but changing a police officer’s opinion is probably an impossible task. 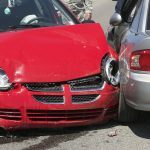 However, a good personal injury lawyer may be able to persuade a claims adjuster to look more closely at key aspects of the accident rather than relying exclusively on the accident report. If you are injured in any traffic accident in or near New York City, get the help you need, and get that help right away. Put your case in the hands of an experienced Bronx personal injury attorney from the very beginning. Having a good injury attorney handle your case is your legal right.